Champions Jaguar Service dba, Michael’s European, Inc. has been servicing the North Houston, Spring, The Woodlands, Tomball, Montgomery and the surrounding Houston areas since 1994 with great pride and dedication to our customers. Our goal is to provide only the highest quality Jaguar service and repairs. One visit to our Houston service facility and you will see why more people prefer Champions Jaguar Service over any other repair facility in and around the Houston areas. 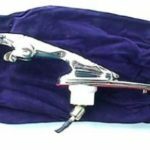 Save time and money repairing and servicing your Jaguar. Call Champions Jaguar Service for an appointment today 281-586-7700.